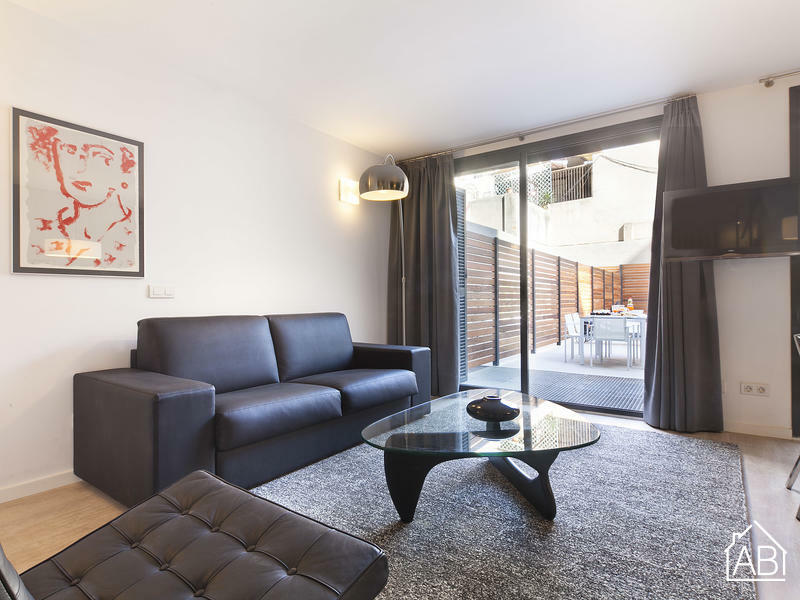 Situated just 600 metres from the famous Passeig de Gràcia, this luxury apartment offers a wonderful terrace and air conditioning. It is located just 70 metres from Girona metro station. The apartment sleeps up to 12 people across four bedrooms in total. The apartment also has a beautiful living area with a sofa, flat screen TV and a dining table, complete with chairs. There is also an elegant kitchen area and three modern bathrooms. On the ground floor of this apartment, there is an incredible family room of almost 50m2, complete with a double bed, sofa bed, private terrace, bathroom and television room.